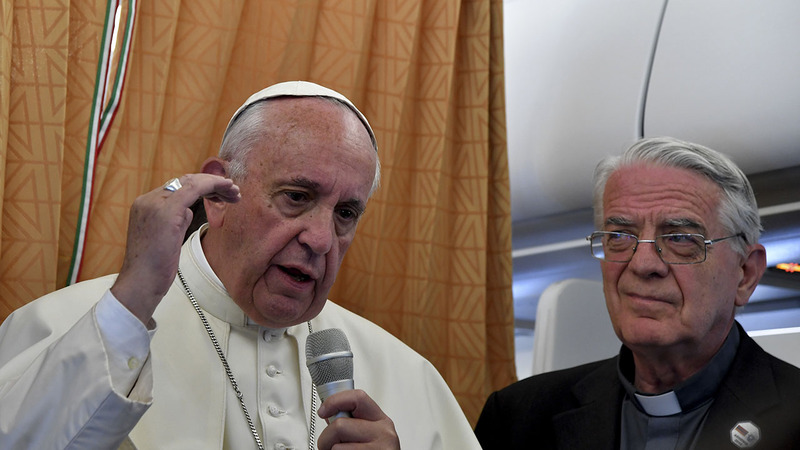 ABOARD THE PAPAL PLANE -- Pope Francis says gays and others whom the church has marginalized deserve an apology. Francis was asked Sunday en route home from Armenia if he agreed with one of his top advisers who said after the Orlando nightclub shootings that the church owes an apology to gays for having marginalized them. Francis responded that some political behaviors of the LGBT community can be condemned for being "offensive." But he said a person "who has this condition, who has good will and is searching for God, who are we to judge? We must accompany them." He said, "Culture has changed, and thank God." Francis added that the church must also apologize to the poor and exploited and for failing to accompany families who face divorce.